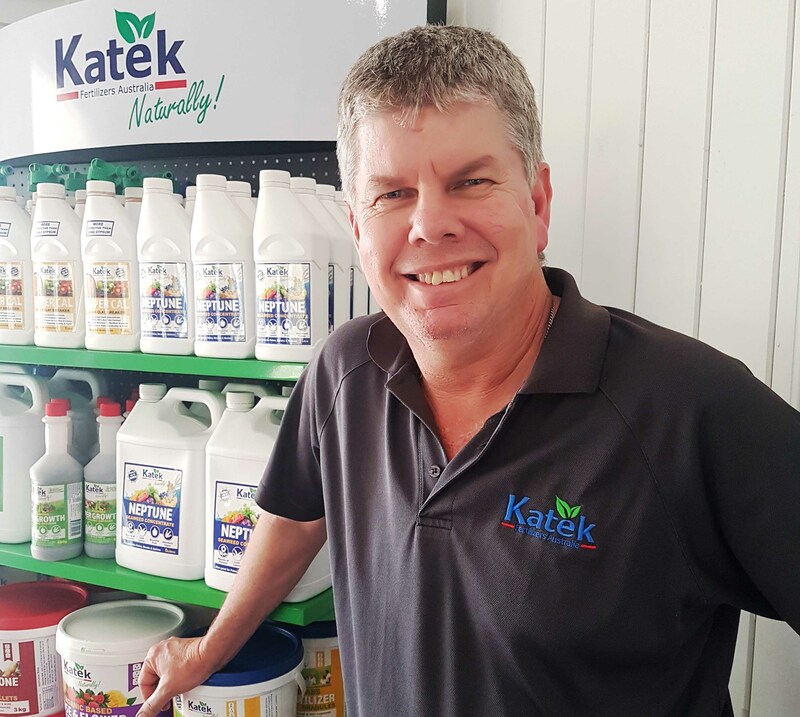 “There is no room here for second guessing what the nutrient requirements of these plants are, nor can we afford to put up with second rate products, we have been using Katek fertilisers for years now and we know what we are getting, and we know they work”. “There is no doubt that Katek has served this industry well, but more important is the constant reviewing of their existing products, and the development of new ones that keeps them on top of the tree. The introduction of their custom blended liquid products is just one example of this”. 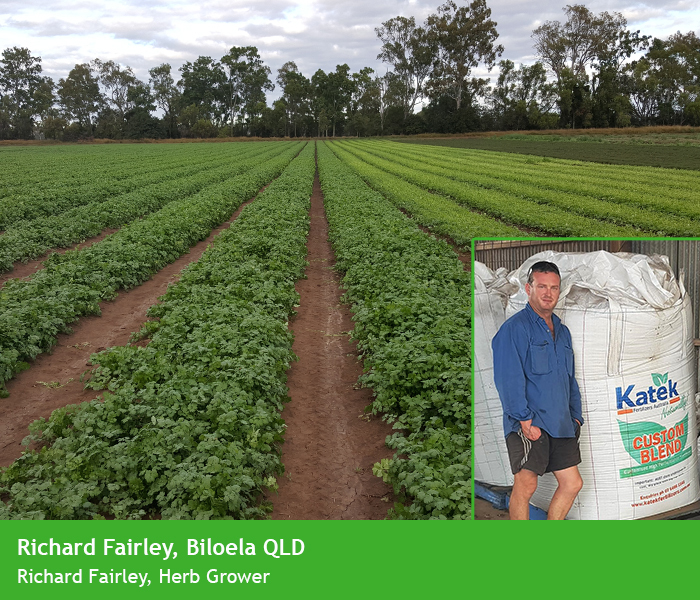 As Richard prepares for the upcoming winter crop he knows that every aspect of his farm management skills will be put to the test by everything from weather to governments, but at least he can get some peace of mind knowing his crops nutrient requirements will be in the bag; a Katek bag that is! 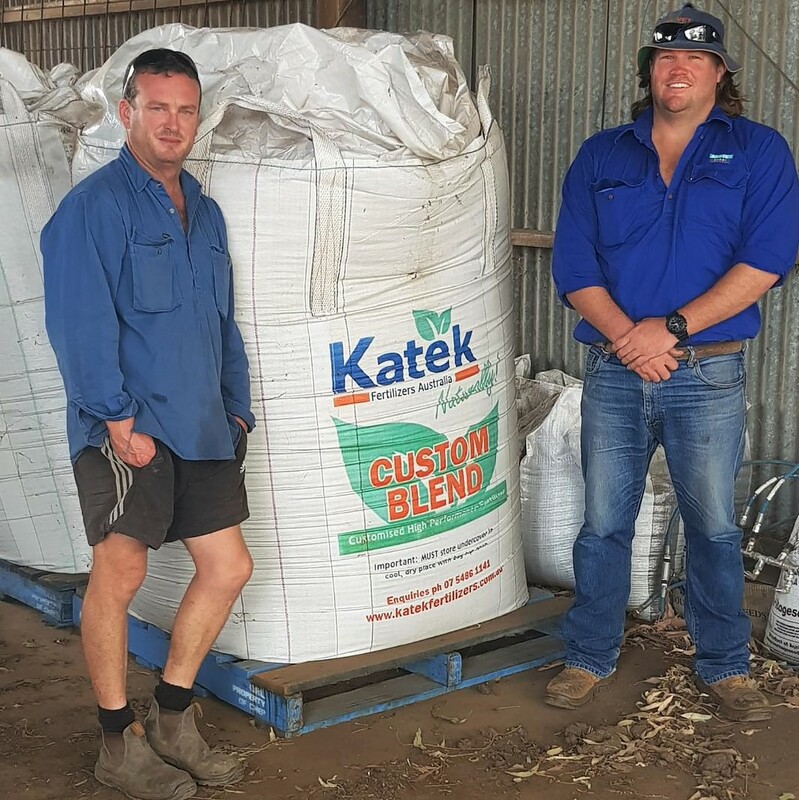 ON SITE: Richard Fairley with his Katek Custom Blend and Chris Dawson from AgnVet Moura. Find a Custom Blend to suit your needs!